By popular request from participants in our Gatherings, we are now offering recordings of the Midline Meditations, available in both CD and downloadable MP3 formats. “I love the guided meditation. I feel like I am in many ways sitting… in the company of others. How wonderful to bring this into my practice. A presence. 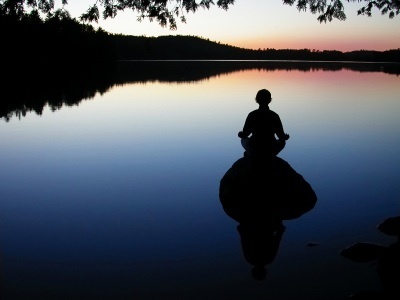 A connection of which is so profound it often is overlooked but the midline meditation allows one to come home to source. Something very personal and intimate but at the same time so immense that it encompasses everything. Thank you for offering an avenue to connect to our inherent wisdom.” J.O. Please cut and paste the link below to hear samples of the Meditation tracks. This is also the page for ordering directly through Paypal’s secure ordering site. Introduction – An overview of the potent Midline Meditation technology, the origins and availability of Stillness within you, and the numerous benefits of cultivating this inner awareness in meditation and throughout your day. Instructions – Simple and affirming guidelines for using this meditation, whether you are a beginner or an experienced practitioner of meditation. This 28 minute meditation can be used on its own, as a deep relaxation tool before sleep, or as a basis for a longer meditation. Meditation – A deeply calming 28 minute guided meditation to bring your awareness into the source of Stillness within you: your Midline. In this progressive, centering meditation your outward attention naturally calms as you are guided into an inner place of natural ease and restful Presence. Daily Awareness – Practical applications of the Midline Meditation practices. Using this Midline Meditation helps us develop a more centered, relaxed awareness throughout our day, igniting numerous physiological, mental and emotional benefits, as well as helping us to evolve our consciousness. Our intention is to offer this potent body-centered relaxation and inner awareness practice into the expanding community of people seeking a deeper centeredness within their entire being: body, mind, emotions, spirit. Whether one uses this practice for calming the nervous system, reducing stress, cultivating heart centered awareness, deepening a connection to your own Source, or evolving your consciousness….the effects of this practice are tangible and cumulative. We welcome you! and welcome your feedback as you use this practice.